The Boston-based independent label will match all donations up to $5,000. 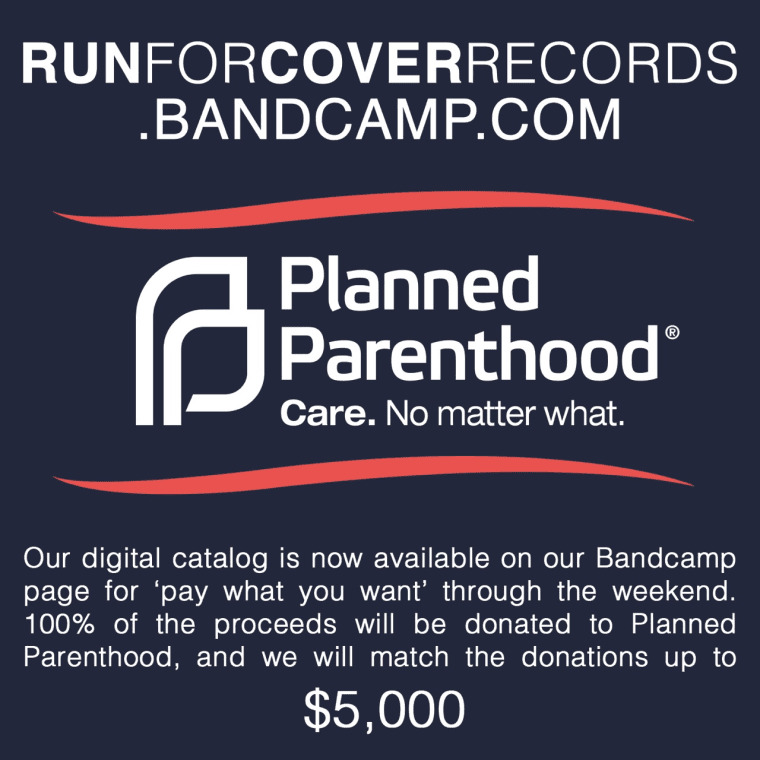 Boston independent label Run For Cover Records - home to Modern Baseball, Elvis Depressedly, and more - have made their entire catalog available as "pay what you want" on Bandcamp. The label will keep the releases on the site through the weekend and are donating all the proceeds to Planned Parenthood. RFC will also match all donations up to $5,000. Dive into their extensive catalog here.